Services > Strategic Investment Fund, Inc.
Strategic Investment Fund Partners is a private sector source of financing for real estate projects that are expected to have a significant impact upon the economic development of the City of Pittsburgh and the surrounding ten-county region. Employment creation, community development and elimination of urban blight are primary Fund objectives. Urban League of Pittsburgh, Inc.
We Do Property Management, Inc.
Providing quality affordable housing and related services to Western Pennsylvania for 60 years. Mon: 10 a.m. - 6 p.m. Wed: 10 a.m. - 6 p.m.
Fri: 10 a.m. - 6 p.m. Located in the heart of the Golden Triangle, Alioto Salon Squisita is one of Pittsburgh's most customer savvy and tourism friendly salons. Walk-in's are always welcome! Among many things, we specialize in organic hair coloring and corrective coloring. Our hours are flexible and vary daily, but you can expect the doors to open by 8 a.m. Monday-Saturday. We're closed Sundays and most major holidays. Special appointments are available by request and we cater to group events including weddings and proms. Altus is devoted to giving our members training at a level on par with what professional athletes and elite soldiers receive. We cater to individuals of all ages who are passionate about getting results. If you want to improve your physical and mental capabilities for performance outside of the gym environment then this is your place to train. One of our premier classes, base camp utilizes elite performance training programs. In Base Camp, you’ll be working on our versaclimber machines for Energy System Development (ESD), High Intensity Interval Training (HIIT) and postural strength. -Shred fat and dramatically improve your metabolic conditioning. Not your typical boxing fitness program. You’ll be working with some of Pittsburgh’s best boxing fitness instructors. Dramatically increase strength. Burn fat. Improve overall heart health. Hours: Mon-Fri: 7:30 a.m. - 6 p.m. Sat: 8 a.m. - 3 p.m. Sun: 9 a.m. - 1 p.m.
From contemporary hair designs to classic styles, B & T Salon & Spa has long had an eye for cutting edge beauty. Please stop by, call or email us for more information regarding our services. Let our creative stylists find a style that is right for you. Conveniently located in Pittsburgh, PA, Bradford School offers career-focused programs in many growing occupations. Some of our programs include an externship, where students get to learn from a real-world experience. Work space for tiny little start ups. As a Cartridge World franchise, our mission is to provide our customers with a cost-effective, environmentally friendly alternative to continually purchasing new printer consumables. We are committed to deliver products that are of the highest quality, while providing great customer service to go with them. Directions: Upon entering the Clark building proceed forward to the elevators and take them up to the 5th floor. Exit the elevator, walk down the hall and take a right. The Clark Building Barber Shop is located down the hall on the left hand side in Suite 217. ColorPerfect Printing? is a full service print provider that specializes in precise, high quality, color printing. The James E. Rohr Building is the permanent home of the Cultural Trust Education Center. Professional business photographer for headshots and company photos. The David L. Lawrence Convention Center raises the bar to a new level for meeting and exhibit space, services and amenities. 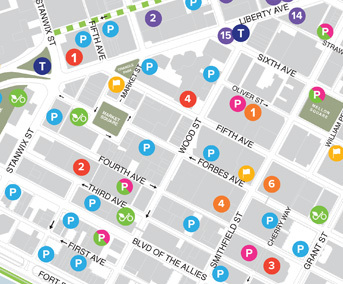 Located in the hub of Pittsburgh's cultural, business and entertainment district, the Center effectively blends unparalleled functionality with cutting-edge technology to offer meeting planners, exhibitors and attendees an unforgettable meeting experience. The $375 million facility is the cornerstone to western Pennsylvania's hospitality industry and truly a design and engineering gem. Also, the Center is the first and largest certified “green” convention center in the world awarded the Gold LEED® (Leadership in Energy and Environmental Design) by the U.S. Green Building Council. For a calendar of events, visit the Website. Doctors Clement and Dang are primary health care professionals providing comprehensive eye examinations. 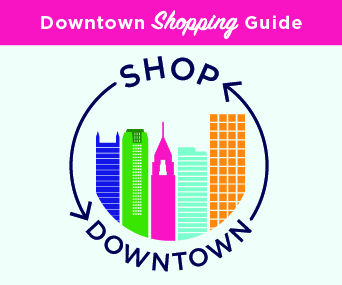 Guide to cultural, recreational, dining, living and shopping opportunities. Includes calendar of events and newsletter. PWSA provides water & sewer services to more than 300,000 consumers throughout the City of Pittsburgh. Shop for Electronics, Batteries, RC Toys, Hobby Kits, Soldering Tools, and more. Small World Early Learning and Development Centers are child care facilities that offer programs for infants as young as 6 weeks old to children up to 6 years old. Small World Early Learning and Development Centers are child care facilities that offer programs for infants as young as 6 weeks old to children up to 6 years old. We design a full range of activities that encourage intellectual, social, emotional, and physical development. Solenture provides compensation, benefits and private client services to meet the financial goals of corporations, key executives and high net worth individuals through customized solutions that meet their specific objectives. SCI is the recognized leader in real estate & construction executive search. 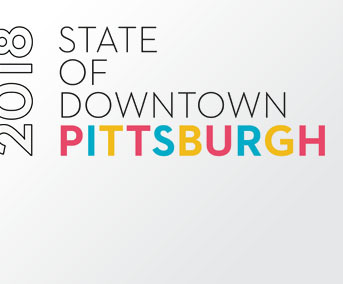 Sustainable Pittsburgh affects decision-making in the Pittsburgh region to integrate economic prosperity, social equity, and environmental quality bringing sustainable solutions to communities and businesses. US Steel Building Barber offers many personal care services, including basic hair cuts for women, basic hair cuts for men, facial grooming, children's haircuts, pro hair styling for women, pro hair styling for men, ethnic hair styling, highlights and color, hair blowouts, hair straightening, curling & waving, relaxers and perms, eyebrows, eyelashes, shampoo and conditioning, hair treatments, hair restoration, hair extensions, wigs and hairpieces, bridal services, bride party services, groom services, groom party services, waxing hair removal, laser hair removal, electrolysis hair removal, styling instruction. We’re part of a university. We live the nonprofit life. We give you the time you need… These are the things that set us apart, and are why thousands of organizations have come to trust the Bayer Center for Nonprofit Management at Robert Morris University as a comprehensive resource for education, consulting, coaching, research, and hands-on solutions for every aspect of nonprofit management. Our approach to education is to stay on top of what’s happening in the sector, plan for what’s going to happen, listen to you, and offer the ever-adapting menu of classes you see described on our website. Our Strip District Location is proud to join the family of Pittsburgh's best, cage-free total dog care facilities. We offer everything you might need or want for your dog. 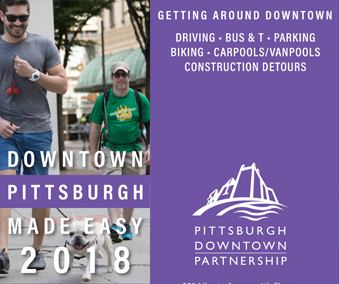 Our Strip District location features luxury boarding accommodations, an interactive and social daycare experience, a spa-like grooming retreat, a retail store, and much more. Our 10,000 square foot facility caters to every dog's wish. Whether it is running after balls, playing with friends, or taking a nap, your dog is guaranteed to come home satisfied! Reweaving is a specialized skill for repairing damaged fabrics and knits. It involves hand weaving thread strands into the garment's damaged area. With special needles and state-of-the-art magnifying glass plates, the reweaver replicates the garment's original condition, creating virtually undetectable repairs. This method is also know as the Invisible Weave, a technique applied on select fabrics with small holes, tears and burns. It involves a meticulous process wherein threads are taken from an inside seam of the garment and are hand-woven into the damaged area. The thread strands are replaced individually, creating a new fabric that is visually indistinguishable from the rest of the garment. This method is the most common reweaving technique, applied on larger tears. A piece of fabric is taken form a hidden area of the garment and is interwoven into the frayed edges of the damaged area, matching the fabric's pattern. Inweaving on a solid color material may show a discernable outline, while plaids tend to show invisible repairs. Similar to the French Weave, this method involves taking hidden thread strands from sweaters, double knits, and wool knits. The thread strands are then knitted into the damaged area of the garment. Intricate care is practiced to match the knit pattern and style. When it comes to how well you look in your clothing, a good fit makes all the difference. Whether you require a simple hem or a complete overhaul of your garment, our qualified professional seamstresses in Pittsburgh will do what it takes to ensure your satisfaction. Our specialists are trained to provide excellent alteration services, focused on quality and personal attention. We repair, re-style and re-size clothing for men, women and children. And everyday, we hem pants while you wait. Established in 2004, the Pittsburgh office provides representation in the Western part of the Commonwealth, serving clients' needs in both State and Federal Courts. The William Penn Place building is Gold Certified, since 2010, by the LEED Green Building Certification System of the U.S. Green Building Council. With a staff of twelve resident attorneys, the Pittsburgh office provides defense representation to corporations and insurance companies. As the leader of Pittsburgh/Allegheny County's public workforce system, Three Rivers Workforce Investment Board (3RWIB) works to ensure that the current and future needs of businesses and job seekers are met. With tens of thousands of JOBS AVAILABLE in the Pittsburgh region, 3RWIB bridges the gap between people looking for work and companies in need of talent. Sunday worship services - 8 a.m. and 10:30 a.m.
Monday - Friday worship services: 12:05 p.m.
Saturday worship services: 12:05 p.m. The James E. Rohr Building at 805-807 Liberty Avenue is the permanent home for the Trust Arts Education Center. The Pittsburgh Cultural Trust's Education and Community Engagement department offers a wide array of arts programs and activities for youth and adults throughout the year at the Trust Arts Education Center. The Center includes the Peirce Studio, a sizable multipurpose room located on the first floor, as well as the PNC Grow Up Great Classroom and several other classrooms and workshop spaces to utilize for visual and theater arts, written and spoken word, dance and other art forms. Our mission at Union Fitness is to serve our clients with passion and integrity. Without you, we can’t do what we love to do- empowering our members to be stronger and healthier. We believe that it is our duty to hold ourselves and our clients to a higher standard. We practice what we preach and uphold the values that make Union Fitness the community that it is. University Bound is helping America's leading colleges, universities, and career schools by connecting prospective students with educational opportunities. We use our proprietary dialing technology and top-notch management team to train our agents to engage customers in informed conversations and present them with relevant information that allow for easy decision-making. Using our data decision engine and our analytics processes, we find the perfect match between learners and their future institution of higher learning. Conveniently located on the upper lobby of BNY Building One with relaxing views looking over a beautiful park area, we provide complete dental care from Cosmetic Dentistry, orthodontics, dental implants, gum therapy, and emergency care in the modern Downtown office.